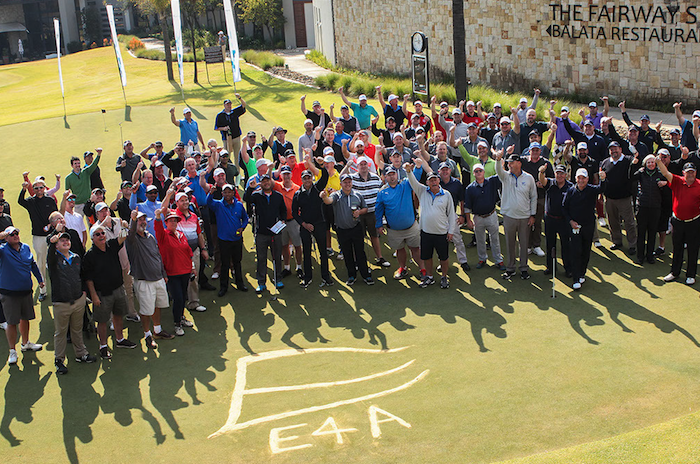 The eighth stop in the 2018 Drive to Sun City Els for Autism Series saw 144 players venture out on to the Randpark Firethorn Course in the hope of booking a spot at Lost City later this year. The course, renovated in 2017, was in pristine condition as the spirits of those playing matche d the wonderful winter’s day. As always, the day proved to be filled with laughter, thrills and spills and some excellent golf, with colleagues and friends Mervin Govender and Randal Chetty walking away winners on 49 points. The pair have played at Lost City Golf Course before, which will stand them in good stead as they face off against the other winners from around the country. The Els for Autism Foundation was established in 2009 by Ernie and Liezl Els to focus on autism, a couple of years after discovering their son, Ben, was severely affected by the disorder, which impacts one in 68 people worldwide. Els for Autism aims to provide affected families with best-practice interventions and support. In 2011, Ernie and Liezl initiated a project to create a service that would give lower-resourced families of children on the spectrum in South Africa free access to effective treatment and the Ernie Els Centre for Autism was born.